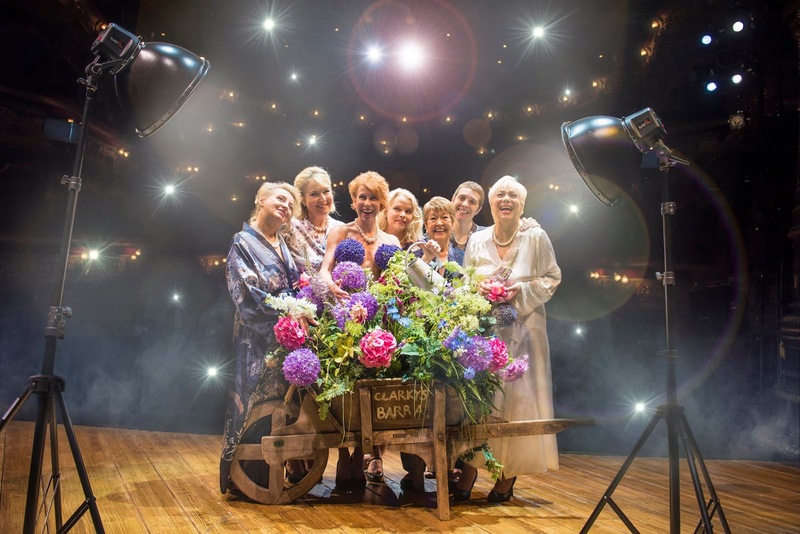 Calendar Girls the Musical is based on the true story of a close-knit Yorkshire village. In 1998, Ladies of the local Women's Institute, rally to help one of their members when her beloved husband suddenly dies. They decide to raise money in his memory for the Leukaemia Research Fund by posing naked in a Pirelli style calendar and selling copies. The story was subsequently made into a film in 2003 and then a stage play in 2008, both written by Tim Firth. Tim spent 5 years in collaboration with Gary Barlow to produce this brilliant musical. The story has been changed quite a lot from the original, but the basic premise remains the same. The musical looks at the whole gamut of human relationships and emotions with fantastic humour, pathos and poignancy, accompanied by an excellent musical score. The characters are perfectly cast with amazingly strong performances by all. Anna-Jane Casey who plays Annie and Rebecca Storm as Chris are outstanding, both having superb voices. Fern Britten is fabulous as Marie the leader of the WI, desperate to stick to the old traditional values whilst being a terrible snob and social climber. Denise Welch is perfect as Celia, the brash, brassy and blousy ex air hostess trying to button up to fit in with the community. The show contains some of the funniest laugh out loud one liners I have ever heard, many delivered with perfect comedic timing by Karen Dunbar as Cora. Sara Crowe is hilarious as the ever helpful, slightly tragic Ruth. The younger actors, Isabel Caswell, Tyler Dobbs and Danny Howker add another dimension, which brings freshness and fun to the production. Robert Jones' set and costume design are both fairly simple but completely in keeping with the themes and characters. In the first scene you are totally transported to the Yorkshire dales and subsequently to the village hall and green.